Carrying adequate coverage is one of the first rules to buying life insurance. You don’t want to carry too much or too little. Life insurance is designed to provide the financial support that your family would need if you were to die unexpectedly. It’s important to take your long term goals into consideration when completing your life insurance planning. Not sure how much you need? 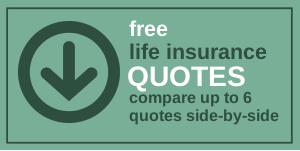 Check out our life insurance calculator or call us directly. Do We Both Need Coverage? Many young families make the mistake of only purchasing life insurance protection for the breadwinner. Whether both parties work, or one is a stay at home parent, it’s important to purchase coverage for both. Consider the financial strain your family would be under if either parent were to pass unexpectedly. The financial implications of losing the breadwinner are obvious, but what about a stay at home parent? The cost of childcare and household maintenance can be exorbitant. Keep this in mind as you determine how much coverage to purchase. By asking these three simple questions, you can rest assured that you’re making an educated decision and locking in competitive life insurance rates. If you need help addressing any of the above, we encourage you to contact us directly. With no obligation to buy, your personal IntelliQuote advisor will help you determine the answer to each.